All sessions required will need to be booked and paid in advance. Booking forms are available from the Enigma Childcare office. Places are limited so please check with the Enigma Childcare Team about sessions available. Times for 2, 3 & 4 year old funded places need to be arranged by the Enigma Childcare Manager. Some sessions may be free depending on your household income. You may be eligible for two year old funding - Click here for more information. We will provide care for 50 weeks of the year (closing for one week over the Easter Holidays and one week over the Christmas holidays). 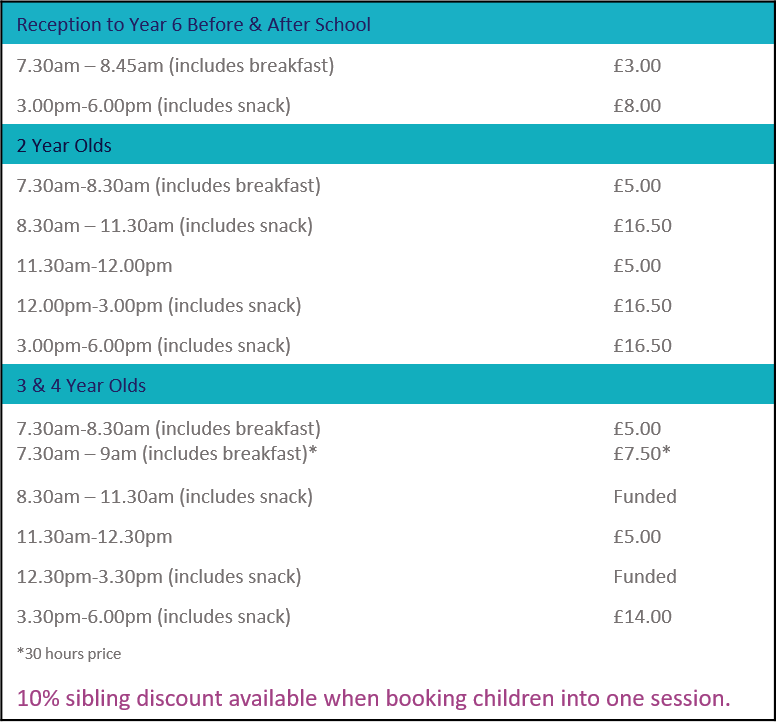 Call the Enigma Childcare office on 01753 521215 extension 4 for session availability. All sessions must be booked and paid for in advance.